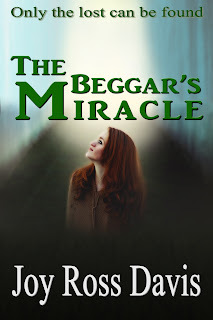 MW: The Beggar's Miracle tells the story of an orphan named Bitty Brown. Often, an author identifies with or connects with their main character. What does Bitty Brown mean to you? JRD: Ah, Bitty Brown. I am a student of Irish history. During one of my rounds of study, I came across an article about a trial in Ireland (2013) in which the proprietors of a state-run orphanage were charged with abuse. I delved into the subject and discovered many accounts orphans who were sold to Americans. From there, I did more research into the daily activities of the "Laundries" as they became known (owing to the laundry they took in from citizens, most of which contained piles of bills to pay for getting a child). Because many families wanted infants, many of the children sold to Americans were the products of sexual abuse of the young women (16 and older) who remained in the Laundries. Bitty Brown represents all of the children who were mistreated and abused at the Laundries. The study of the laundries touched my heart so deeply that I knew I had to write about it. The name Bitty Brown came to me while I showered, and I knew at that moment that she would be the girl who would tell the story of the Laundries. MW: So, it is quite a personal story. With the story set in Ireland, your connection goes a little deeper. Your writing shows that you've been to the Emerald Isle, you must love it. How many times have you been? JRD: I've been to Ireland four times. During my first trip there, I worked as a travel writer for Tourism Ireland for six months. I traveled across the country finding exciting places and writing about them. Along the way, I forged friendships with many people in Ireland. That was in 2003. I've been back three times, and I'm sure I'll go again. Ireland calls to me, and I feel as if my heart's home is there. I have a dream of living there one of these days. MW: That could be a real possibility! Writers tend to live on dreams, so we wish you the best in fulfilling yours. Now to switch gears from dreams to nightmares, it seems that the "laundries" had truly horrible conditions. Does anything like that still exist in Ireland today? JRD: The Laundries still operate today in Ireland. However, they are called Children's Homes, and only the oldest of the orphans can be assigned work duties. Strict governmental guidelines and regular inspections keep the homes running according to the law, but somehow, I believe that the practice of selling infants to foreign couples still flourishes, though I have no proof or evidence to support the belief. MW: That sounds like the subject of a new book. I can already see Liam Neeson in the movie adaptation. He does have a particular set of skills. While you may not have Mr. Neeson in your book, you do have an element of the paranormal. How important is the paranormal in a Christian-themed story? JRD: Virtually everything I write contains an aspect of the paranormal. Perhaps it is my attempt to have readers think beyond the worldly. With Bitty Brown, the beggar Jude and his dog are both paranormal entities without whom Bitty might not have survived her life on the streets. I've always had a strong belief in angels and spirits. An event from my childhood began this belief and has lasted my lifetime. I don't expect people to change their beliefs when they read one of my stories. I simply expect them to form a bond with the angel characters, to expand their imaginations and entertain possibilities. Without some form of paranormal aspect, my stories couldn't be told because at the heart of each one is the thought that angels exist. My hashtag on Twitter is #angelwriter. And that's what I want to be. I want to stir people with my quirky view of angels and their interactions with human beings. MW: We have angels and orphans. That feels like an emotional story that could touch readers. As the author, why do you want people to read this story? JRD: The greatest appeal of the story, to me, is that it offers hope to all who feel oppressed. It is a heart-warming story that affirms the idea that any one of us can become victims of circumstance, but we can all be rescued from those circumstances and given a new start. Bitty represents everyone who faces struggles and hardship. When two strangers approach her, she shies away at first. But those strangers offer her nothing but love. They provide a safe place for her, they give her a family, and they show her how to love in return. Hope, redemption, and the possibility of greatness come to Bitty Brown just as they can come to her readers. MW: In the end, it is about hope. We can always use more of that. Thank you, Joy, for visiting with us today! 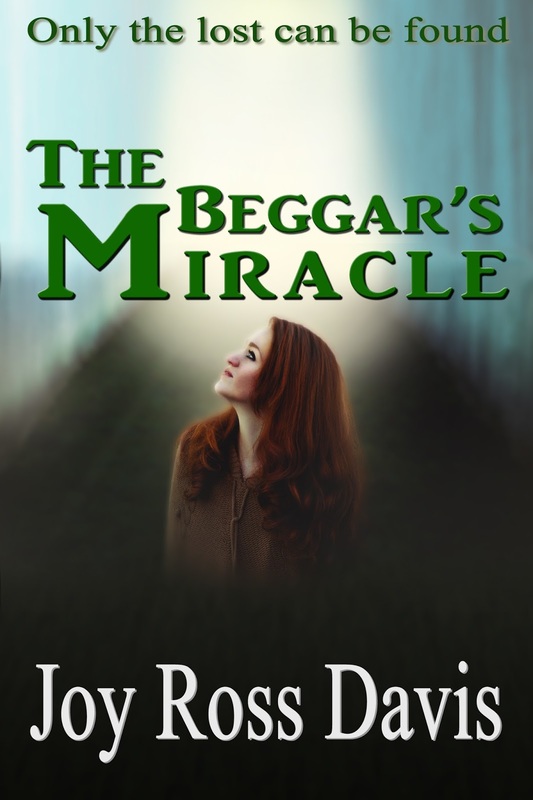 The Beggar's Miracle is available now for ONLY $1.99. Great article! Thanks for writing this story Joy! I believe this story will give hope to others..